The features and abilities of Google Assistant, both on Android and on Google Home, continue to impress and one of the latest is incredibly handy. 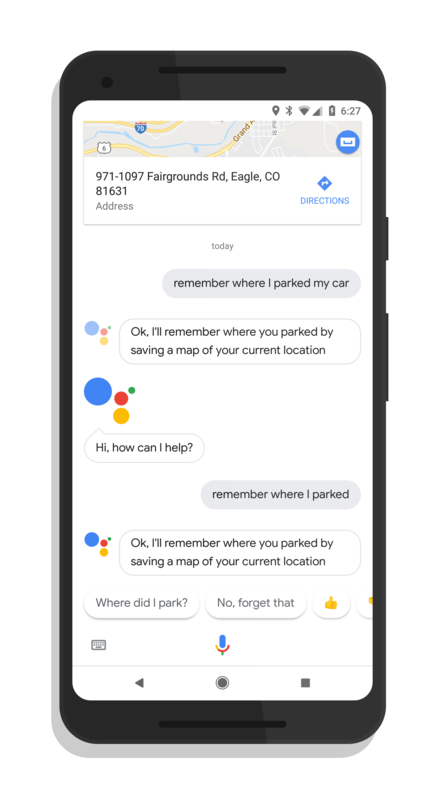 You can now tell Assistant where you parked your car, then ask where you parked and get directions to your car. Isn’t living in the future cool? How it works is pretty straightforward. When you park your car, just open up Assistant by saying, “Hey Google, remember where I parked my car.” You will get a confirmation and there is a special “P” pin that is put into Google Maps. When you are ready to go back to your car, just say, “Hey Google, where did I park?” and you will get a mini map in Assistant showing you. You can then open up Maps and get directions back to your car. As you likely have figured out, the feature is dependent upon GPS and uses your GPS coordinates to suss out where you are parked and how to get back to your car. So, if you are in a place (deep in a city parking garage for example), you may have a hard time using the feature. Give it a try and see if it works for you.